Out of all of Arthur's toys, I think his building bricks are the thing I enjoy playing with him the most, probably because there's an element of creativity to it and endless things you can build. 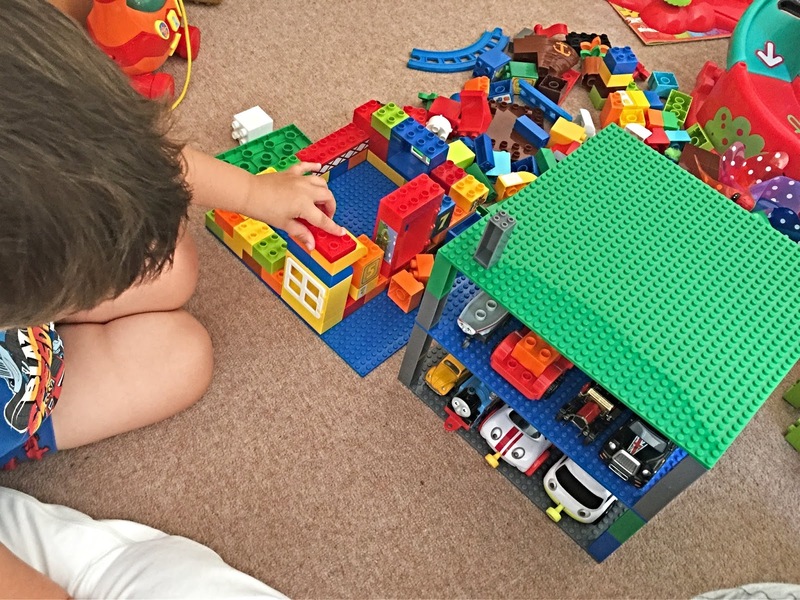 I loved building blocks as a kid, so there's also a feeling of nostalgia that comes with them, especially when you see your very own child playing with them and think about the fact you're now taking on the role that your parents once did (and now do as grandparents.) Does that make sense or am I just spouting out a load of rubbish? Anyway! Arthur's been having lots of fun playing with this fantastic selection of baseplates we were sent over the other week. They're from a brand you may or may not have heard of called Strictly Briks and they are compatible with all major brick brands. The Strictly Briks Brik Tower* comes with 6 colourful baseplates measuring 10"x10" and 50 stacking pieces, which you can use to turn the baseplates into a whole host of things. 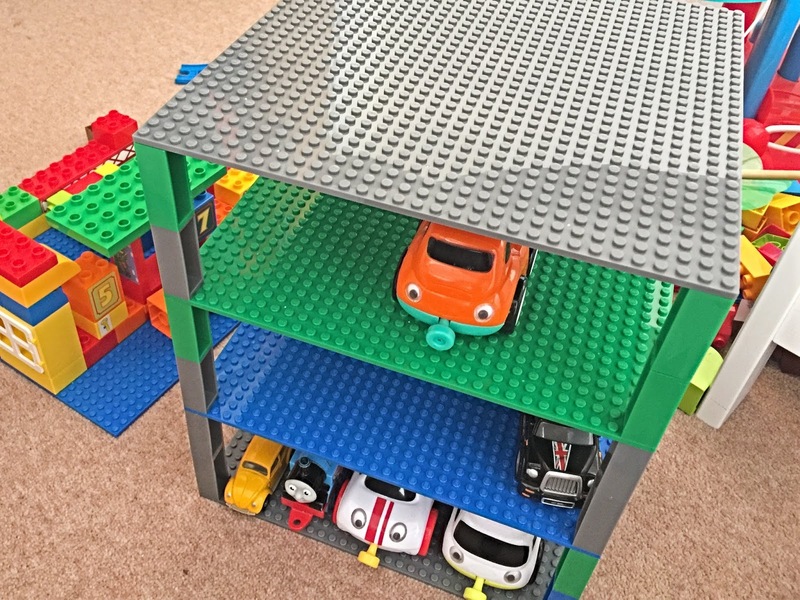 We've been using the baseplates to create houses on, along with other construction bricks Arthur owns but I think my favourite thing we've made so far is a multi-storey car park. Arthur was pretty impressed with it and loved being able to store all of his favourite vehicles on it. 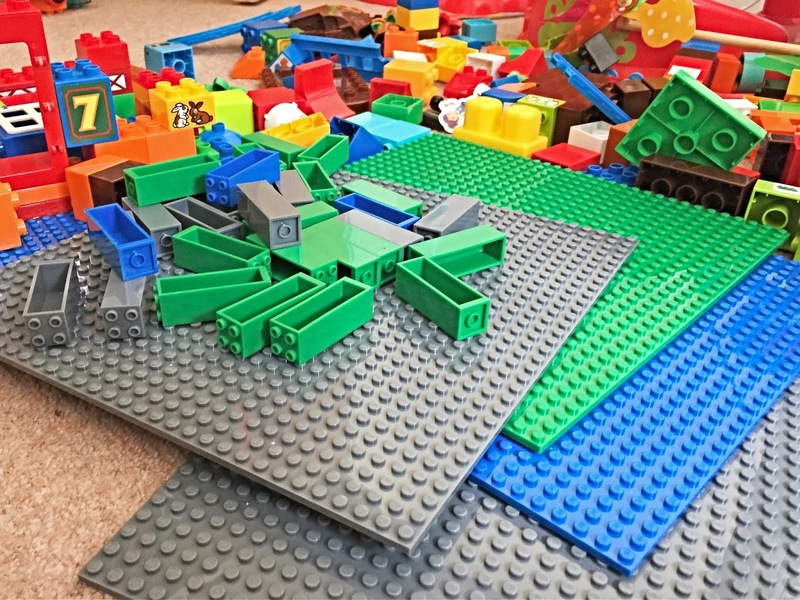 The baseplates seem fairly good in quality and are compatible with other bricks Arthur owns from the likes of Mega Bloks and Duplo. 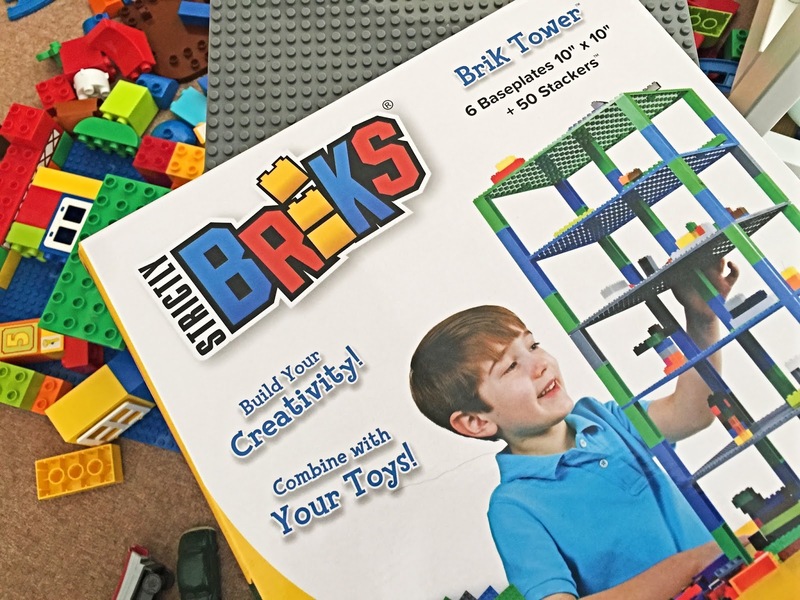 They are also compatible with LEGO as far as I'm aware but it's worth mentioning that Strictly Briks is in no way associated or affiliated with the other building block brands I've mentioned here. What I would say is that the stacking pieces are perhaps not quite as sturdy as you'd hope they'd be for holding up the baseplates. They do however have little slots in them, which you can use to store smaller pieces and accessories, which I think is pretty handy. Arthur doesn't actually have any of the smaller bricks or sets just yet but I think that'll change after a certain trip we're hopefully planning for the near future - but more on that another time! I think if you compare prices, it's easy to see that you get more product for your money with Strictly Briks. This particular set is £17.99, which I think is fairly reasonably priced. Alternatives from other brands will cost a lot more. 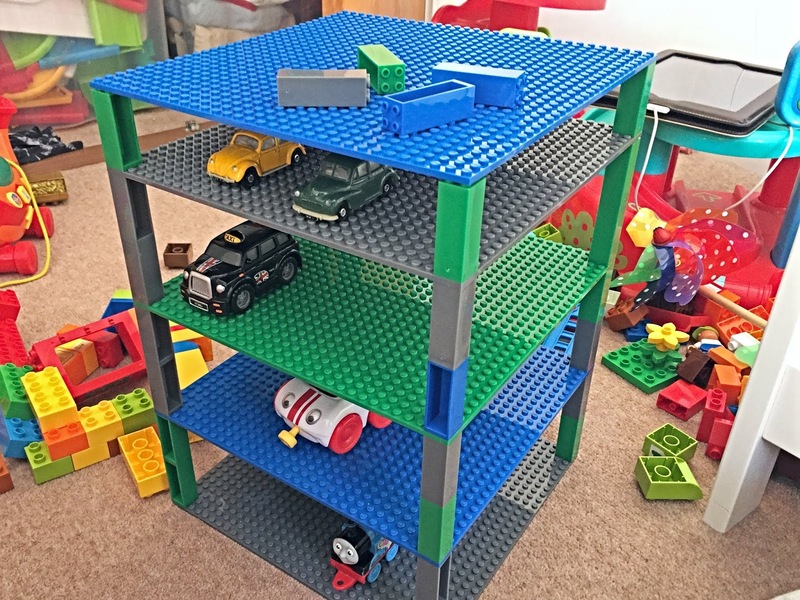 If you are looking for baseplates for your child's building brick collection or fancy making one of these baseplate play tables I've seen on Pinterest, which look pretty awesome, then why not take a look at Strictly Briks on Amazon?